Winter can do a number on your vehicle and this winter was one for the record books. 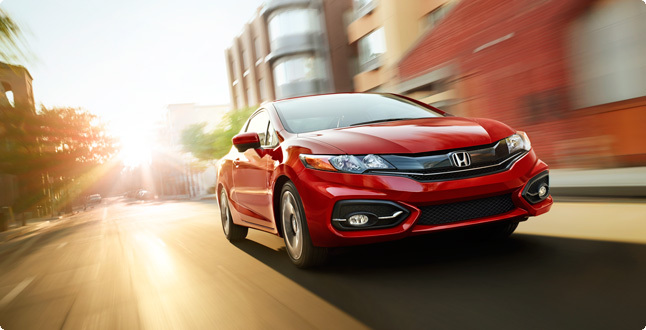 With the approach of spring (we hope), it’s just about time to rid your Honda of the remains of winter. Winter driving means one thing for the underbody of your Honda — a build up of salt, sand and winter sludge that is not good for your car. With this mess comes corrosion and with corrosion comes rust. So spend a couple extra bucks at the car wash for a thorough wash of the undercarriage. You don’t need soap or cleaner, just a strong stream of water (think power washer). Open the hood and take a soft mitt and soapy water to the engine. You might find some leaves and debris in there too, so make sure everything is cleaned out. Look for white residue on the battery and remove it with a toothbrush, baking soda and water to prepare for the stress of warmer temperatures. Give your car a good wash and wax to remove and residual salt and sand that can damage your paint job. Clean the grime from the bottom of the doors and clean your window channels. You can also apply a silicone spray to repel dirt and lubricate the windows so they operate smoothly. As for the inside, use a steam cleaner or rug cleaner to remove all the salt and dirt from the inside of your vehicle to avoid damage to the interior fabric. Think about how often you used your windshield wipers this winter with all the snow and slush. Replace your heavily used wipers blades with new ones when spring arrives. You’ll be amazed at how well they work compared to the old ones — even if you thought they were doing a great job. Sometimes it is necessary for a wheel alignment or tire rotation in your spring maintenance. But if you’re following your regular maintenance schedule, you can probably get away with simply checking your tire pressure. Cold weather can cause your tires to be under inflated and the warm weather can over inflate them. Also give them a quick once over to make sure they’re wearing evenly with lots of tread for the rainy weather ahead. Winter weather can lead to the depletion of some fluids — windshield wiper fluid being one — so top them off if they’re too low. You can do this yourself, but if you aren’t sure about any fluids, like brake or transmission fluid, Henley Honda’s service department is happy to help.